2012 was a crazy year of traveling for me. I've pinned 13 countries and many more cities on my trips. Friends often wondered how S and i. It all boils down to good planning and maximizing all available leave and holidays. Long weekends or weekend trips are good enough for nearby Asian cities that are less than 8h of flight away. Most people would think that 4 days is too little time to spend in Japan considering the air fares and all. Well, this would work if you have been to Japan a couple of times and you don't mind spending all 4 days in 1 or 2 cities. While i wouldn't say we knew Kyoto inside out after the trip, or that we've covered the gazillion UNESCO World Heritage sites and soaked up all the past glory of the old capital, it was sufficient to know if you love/hate a place. And of course, what's not to love about Kyoto? Kyoto is known for the rich culture and heritage and of course their countless temples, shrines, palaces, pavilions etc. that could not be missed. I had a hard time deciding which to visit because there are simply too many. 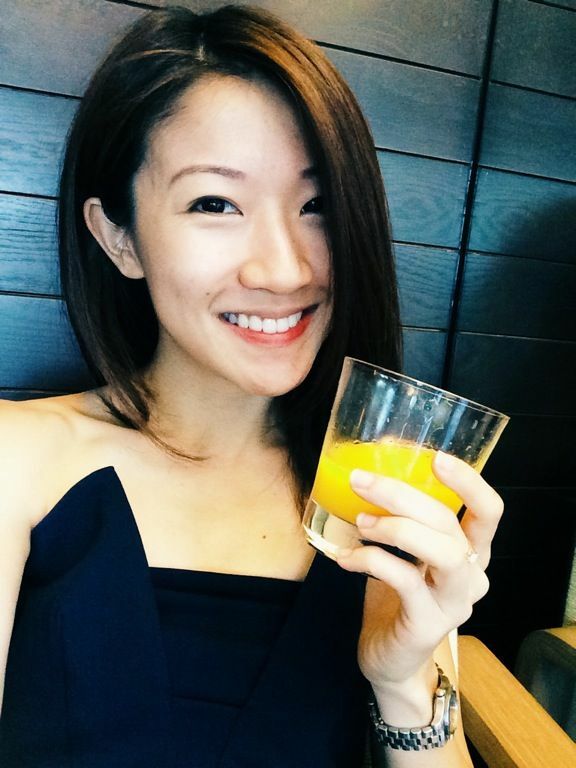 Due to time constraints and foresight of our probable boredom from viewing too many temples, I picked a few must-sees and dropped by other sights in the same area. The tip is to cover 1 to 2 areas each day instead of going back and forth unnecessarily. Bus travel is the most convenient as major sights are mostly within walking distance from the stops. What's helpful is that attractions are labelled on the bus map. Each trip costs 220Y within the city zone so it makes perfect sense to get the daily bus pass for 500Y/day which gives you unlimited rides. 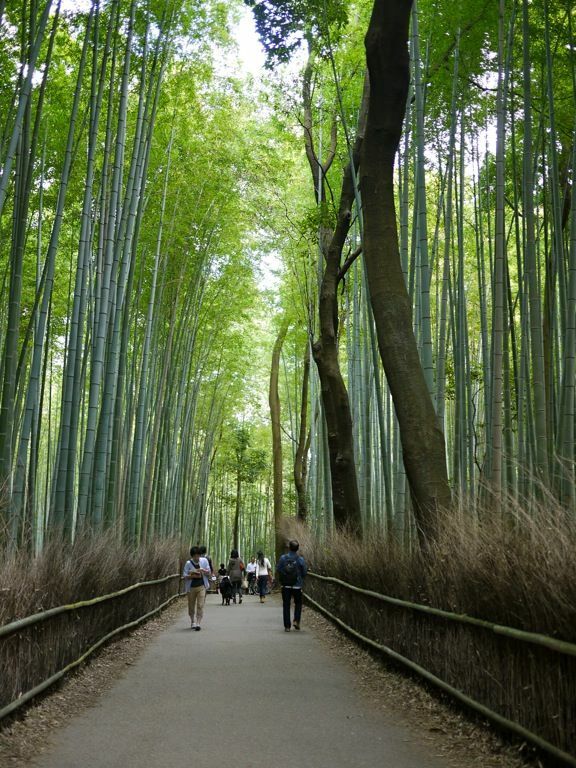 To get to Arashiyama, you'll need to top up a little more. One of the top attractions, Kinkaku, Golden Pavilion is a Zen temple whose top two floors are completely plastered with gold leaves. I found it hard to enjoy the zen with tourists scrambling to get their perfect shot. I very much prefer Ryoan-Ji, which is the finest dry rock garden in Kyoto. This is the epitome of Zen landscaping apparently. There is something really therapeutic about staring at little rocks and man made ripples. 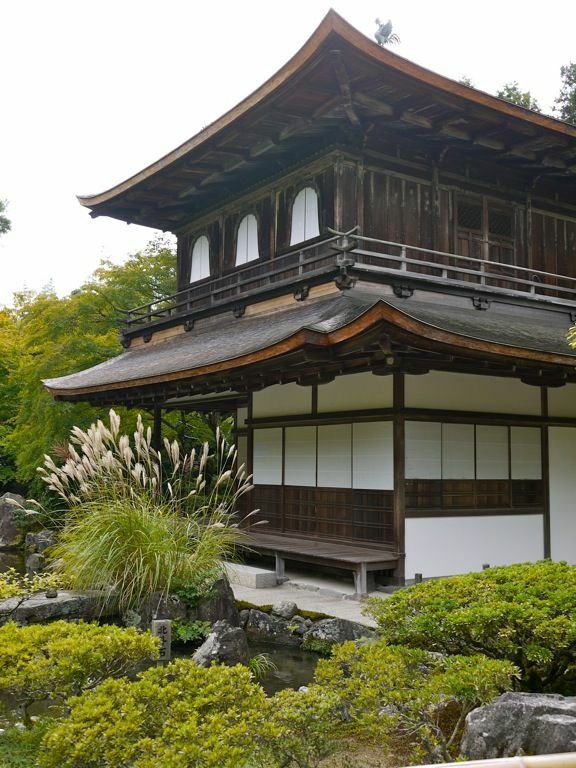 Ginkaku, the Silver Pavilion does not have a trace of silver on it. Word is that the shogun ran out of money before they could cover it with silver leaves. Though it's less glamorous than Kinkaku, i love the coziness of it. Take a little climb up the hillside and you'll be able to enjoy the picturesque scenery from the top. Here is where i scored a wish-in-a-stone-bowl and did a little dance with people cheering in the background. Follow the directions from Ginkaku to the Tetsugaku-no-michi, the Philosopher's Path. It's possible to walk all the way back to Higayashima or Sanjo but it'd take a long while (we tried). It's really soothing sitting down on the stone benches, listening to the flow of the stream. It would be perfect in spring with all the cherry blossoms or later in autumn with the red leaves. Pack a bento and have lunch by the stream or attempt to fish for food yourself. There is a little cafe somewhere down the path to rest your feet. And a really cute shop that sells merchandise with cat prints. 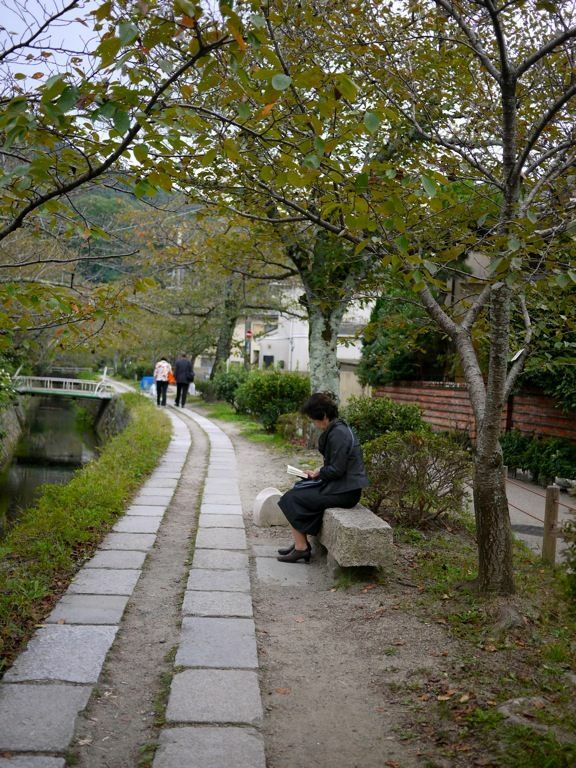 If you are ok with walking, continue down to Nanzen-ji, one of the most important Zen temples in Kyoto. The grounds are massive with several sub temples in it. The central grounds are free and open to public and here is where you'll see the towering Sanmon entrance gate. Shijo is where you do all the shopping. Shopping centers that house levels after levels of cosmetics, fashion, and food are lined along the Shijo-dori. Daimaru, Takashimaya, Marui and Isetan are among those brands. Start walking from Shijo Station and head east towards Gion and Maruyama Park (do this at night) and Yasaka Shrine. Worthy of visiting is the Teramachi and Shin Kyogoku Covered Shopping Arcades. Restaurants and shops are aplenty under the sheltered walkway and these are more popular with the younger crowd. Drop by the Nishiki Market for some fresh seafood, it's the Tsukiji of Kyoto though not in the same scale. Gion is where you will head to for some Geisha spotting but they are very elusive. I've only spotted 2, one hurrying down Pontocho and another in a bar. Nevertheless, spend an hour or so wandering along the streets lined by wooden buildings, tea houses and restaurants only known to people in the know. You may just get a glimpse of one. I would highly recommend spending half a day at Arashiyama. Drop off at the the Togetsukyo Bridge and then wander down the shopping street. Have the green tea ice cream with cake which is just next to the train station. More on where i ate in Arashiyama soon. Tenryuji Temple is one of the UNESCO World Heritage Sites and considered as Kyoto's top 5 Zen Temples but really i didn't find anything spectacular about it. The must see however is the Sagano Bamboo forest that is behind the Temple. I love the wind chime quality of the rattling of the bamboo and the light rustle of the leaves. There are 101 temples in the area so just pick whatever you feel like visiting or just wander around in the nature. Hop on to the Sagano Scenic Train which runs 7km to Kameoka, along the Hozu River, at a leisurely ride at 25km/h. That's what holidays are about ain't it? To complete the experience, take the Hozu River Boat Tour from the JR Kameoka Station back to the Togetsukyo Bridge. Very interesting and entertaining guides they have. Remember to do a Tofu Ryori in Arashiyama for they are famed for that. I'll introduce an affordable one to you soon. Best Japanese jelly i've had as part of my meal and i totally regretted not buying it back. There are so many ways to visit Kyoto and here are merely some options based on my experience. It really depends what sort of traveler you are. Remember, whatever you do, don't rush it. The journey is more important than the destination. Hope you've enjoyed this post! What a great post! Thank you for your post, I've been crawling lots of Kyoto travel guides for advice on how to organize a short trip to Kyoto. Thanks for the info! We're planning a trip to Tokyo and Kyoto coming up soon and this will really come in handy. ms-skinnyfat! You looks stunning. Japan is one of my favourite travel destinations. It is famous amongst tourists for it special cultur and traditions. I love to visit there again and again; Kyoto is one of most charming a traditional attraction which is located in Honshu. I had great experience during my last trip to Kyoto it was just before my boston to dc bus tours . According to me Kyoto Imperial Palace it was a splendid place where we could have a short stay of just one hour, Short time but lots of pleasant memories. Thanks admin for sharing informative article on tokyo tourist attractions. It is one of the top travelers destination that draw travelers from all over the world. 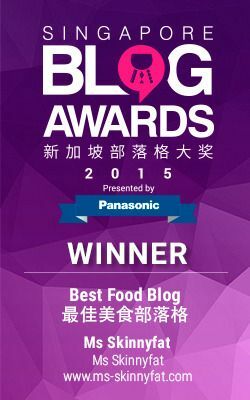 Keep on updating your blog with such awesome information. The journey is more important than the destination. Well said. And great piece of advice for any holiday.